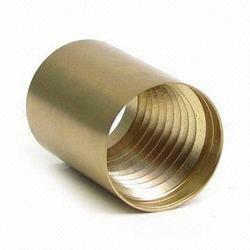 Supplier & Manufacturer of Brass Bushing Components. Our product range also comprises of Brass Components, Brass Inserts and Brass Meter Components. We are generally looking for foreign queries. 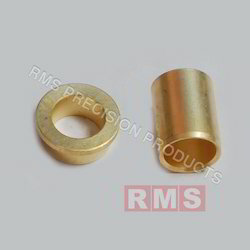 We are an accomplished organization which has gained name and fame in providing Brass Bushing Components to the customers. Manufactured using the best quality of brass these components has high sturdiness, long life and resistance to chemical reactions. Moreover, we offer these products in various sizes in order to fulfill the client’s requirements. As a customer focused organization of the industry, we are offering a wide assortment of Brass Threaded Bush to our valuable customers. Offered products are widely demanded in various industries. To cater the different requirement of our huge client base, we are providing these products as our client detailed needs and requirements at very leading prices. To cater the increasing requirements of our valued clients, we are offering a large array of Brass Hex Bushing to our valued customers. As per the precise requirement and needs of our clients, we are offering these products in different stipulations. 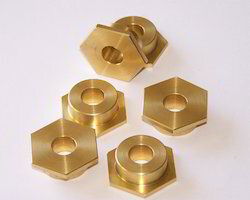 Owing to their high corrosion resistance and optimum finish, these products are widely demanded in the market. Apart from this, we are offering these products at very reasonable rates. We are one of the renowned and well-known industries which are extensively engaged in providing several kinds of supreme quality Brass Knob in the market. These products are manufactured using the latest technologies and finest grade raw materials. Offered products are reliable and long lasting product and designed in various specifications. Apart from this, provided product is available at pocket-friendly rates on the market.